Naxos Sweden has produced several classical and jazz compilations and box sets, all available in a low price range.The great Swedish singers, Jussi Bj�rling and Birgit Nilsson, are for example represented in excellent and newly released collections. 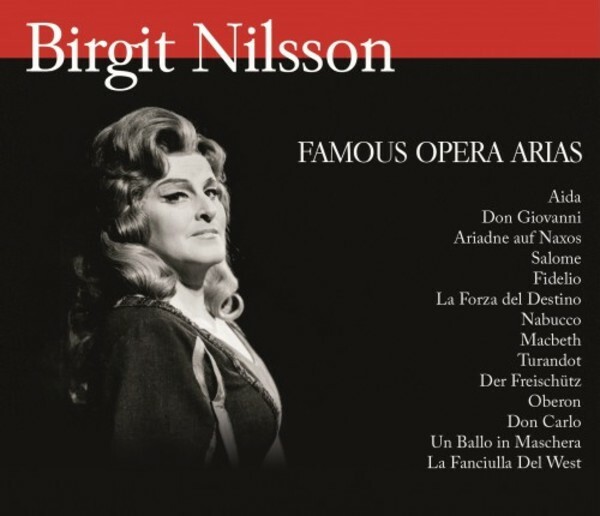 Birgit Nilsson (1918-2005) is the greatest international soprano Sweden ever created. This new compilation on 4 CDs presents arias from the most famous operas she performed as the leading roll. The recordings are made from 1949-1961 on some of the biggest stages and opera houses, with orchestras like Wiener Philharmoniker, Philharmonia Orchestra, Metropolitan Opera Orchestra, Royal Swedish Orchestra, Orchestra del Teatro alla Scala, Orchestra of the Royal Opera House Covent Garden, and conductors like Karl B�hm, Georg Solti, Leopold Ludwig, Leopold Stokowski and Hans Knapperstbusch.